Expect me to enter! Those prizes look awesome. I expect that this is the most commen question and it will probably be asked again. But, can we use creations we have already built or do they have to be built specifically for this contest? 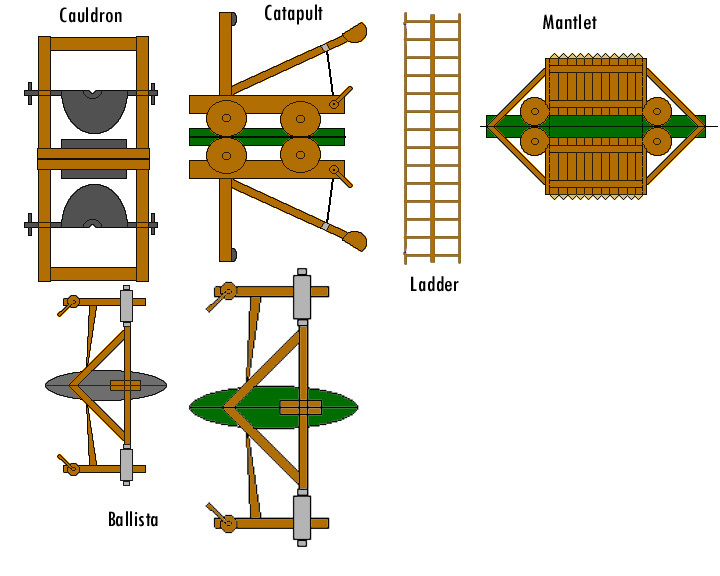 The reason being, I have already got some siege weapons I would like to enter. From the contest rules: "You can not submit any creations posted online before November 1st, 2004." So if you have something you've recently built but have not yet published, by all means--just wait a few days before you upload the pics. The main intent, though, is to encourage people to make new creations, rather than to judge the same creations over and over again. I have a question. Somewhat emberising but...How high are the LEGOLAND wall exactly? Are they five bricks high? architect wrote: You are allowed two entries per category and you can enter each category (except master builder because that works a bit differently). So I believe you can enter 14 mocs into the contest. I'm a little bit confused. 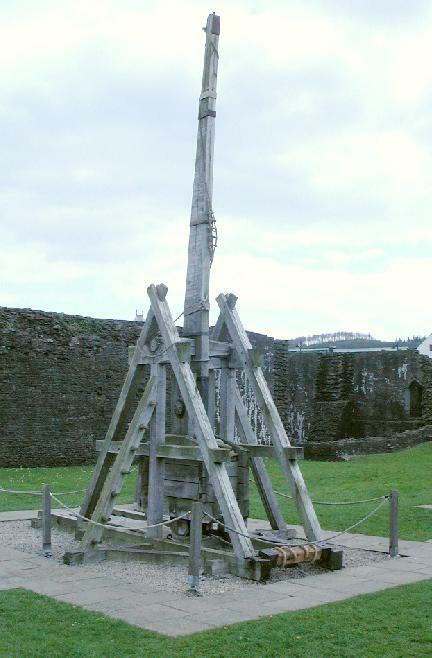 By my count, there are fourteen categories (siege weapons, medieval life, wagons and carts, classic shops, medieval ships, outlaw fortress, miscellaneous, castle vignette, tudor style shops, yellow castle style, custom figure, champion, da vinci category, and beasts), so if we can enter two entries per category, wouldn't that mean that we can enter 28 MOCs? Or am I confused about the categories? I'm sad to see so many catergories! There goes whats left of my social life! What's the scoop on the "Master Builder -Book: 50 Years of LEGO"? Is it/will it available for purchase anywhere? One, question: a lot of the prized say "Donated by LEGO"; did TLC actually donate the sets, or does this mean something like they are curent sets, bought by one of the admins for the contest? They are six bricks high. Check out the "CCC City" section of Classic Castle. Our standard wall height is based on the LEGOLAND one (but not the same thickness for CCC walls). so if we can enter two entries per category, wouldn't that mean that we can enter 28 MOCs? Or am I confused about the categories? What's the scoop on the "Master Builder -Book: 50 Years of Play"? Is it/will it available for purchase anywhere? The book was published in 1982 (hence 50 years from whene Ole Kirk Christiansen founded LEGO). It is extremely rare and was available to people inside the company. Personally, I would love a copy and I am sure it is the most valuable prize. I have seen it on eBay once or twice for very high prices. Yes TLC donated two sets (Mini Robots and Wild Collection) and the book "50 Years of Play". (LEGO also donated prizes last year) We would like to thank them for their generosity. If we put a "donated by:" on the prize page, trust that these people/companies actually donated the prizes. Several admins have made donations, we are grateful for these along with donations from the Little Armory and Red Bean Studio. Thanks, Ben. I was pretty sure the page meant what it said, but it seemed to incredible to be true. Maybe I can convince them to donate some sets to me! could you tell me before you go back in time, I was talking to a robe on the coat rack for 20 minuets before I releized you left! I'm really happy that there is a custom minifig category this year! architect wrote: But you are limited to 2 entries per category and I would suggest working on quality of mocs not quantity. Of course! But seeing as how I don't intend to win in any of the categories, I may as well have fun and try to churn out as many MOCs as I can, and who knows... maybe I'll get lucky. Another question: if we have an MOC that fits into two categories, do we just choose which one it fits best into? I'm rather dissapointed with what LEGO has donated. Why not some KKII sets? Bruce N H wrote: From the contest rules: "You can not submit any creations posted online before November 1st, 2004." Perhaps this is a stupid question, but what exactly does that mean? For example, I often post images to show people what I'm working on and stuff. I started a MOC a couple days ago with the intent of this contest, since I knew it would be coming up shortly. Is it okay for me to show people (here) pics of what I'm working on right now?